A lost cause with a just one. That won’t bring us peace. And the best, often much less. Their every crack and crevice. 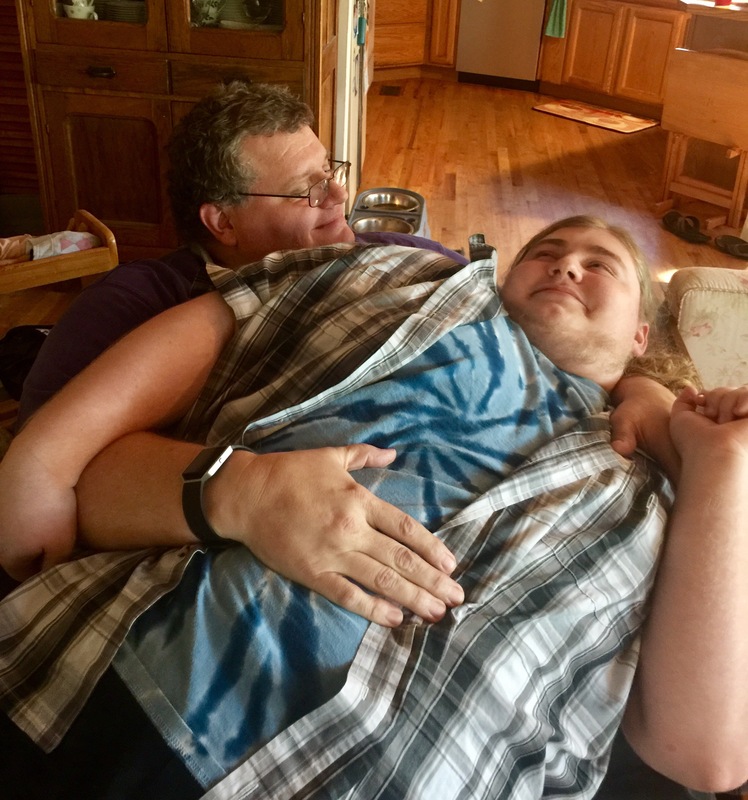 Today, friends, is my son Ian’s 18th Birthday. I could not be prouder of the young man he has become. Smart, talented, and funny. 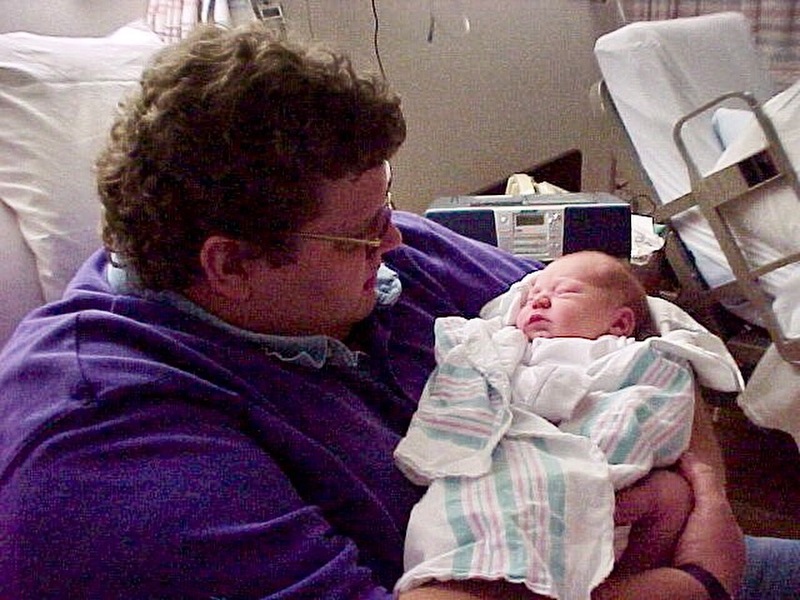 I posted a humorous photo reenacting a picture of me holding him when he was a newborn today and an old friend reminded me of the gag I pulled on our family and friends waiting in the delivery room. I guess you could say, he as been surrounded by humor since birth. Ian was overdue. We checked into the hospital very early in the morning to begin labor induction. Things did not progress swiftly. After 16 hours, Ellen was only dialated 4 centimeters. The doctor advised that it would likely be several more hours and gave Ellen an epidural. I went out to tell the waiting throng and asked my best friend, Lee, to go out to the house and feed the dogs. When I went back to the labor and delivery room, things were radically different! Ellen was crowning and within a half hour, Ian had been born! After they had cleaned him up and said it was ok to have family come back, the doctor and I were talking about how you can never predict these things. That is when the diabolical plan formed. I went back out to the waiting room and told our friends and family that things had really slowed down and the doctor thought it would be fine for everybody to come back and offer some encouragement and emotional support. I led the throng back into the L&D suite. The expressions on everybody’s faces were priceless! There was much confusion. Some people even thought the hospital had come up with some cutting edge program where they gave pregnant women other newborns to hold in order to stimulate delivery! Once reality dawned, there was much love and laughter. It seemed the perfect way to celebrate the end of 18 long hours of labor and the birth of our son. Thank you all for being there with us and especial thanks to Lee, who missed it all because he was taking care of our dogs!